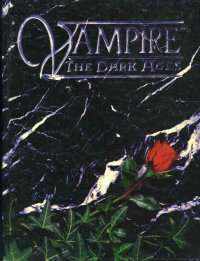 The next entry in the Vampire Retrospective Project comes from a freelancer know for his work on Dark Ages: Vampire and other classic World of Darkness titles. Jacob tells us how he got his start with Vampire. Funnily enough, it actually started with Mage: the Ascension. I’d made a new friend in High School, a guy named Thomas, and he had Mage. I was getting tired of my old group and our games and so I got together with this guy and some other friends and we used Mage as a generic game. 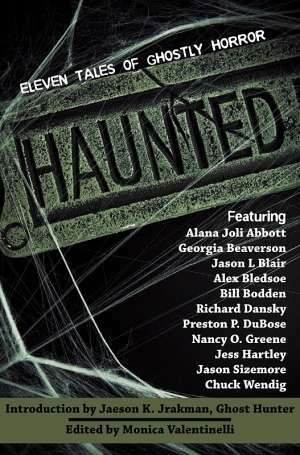 The result was a number of fun one-shot games and a great horror campaign. We’d also found out that the company that did Mage had done another game, this one about vampires, and so Thomas and I went to visit my cousin in Copenhagen and pick up some books at the gaming stores in the “big city”. Vampire: the Masquerade 2nd Edition was a revelation. Before then, all too many of the games I’d run or participated in were combat-heavy, unfocused campaigns where min-maxing and “monty haul” were the order of the day. Sure, we had some fun, but I felt dissatisfied with this style of gaming. Mage gave me the first taste of a different way of playing, but it was Vampire that really gave me a new perspective. Armed with the core book and Player’s Guide, Thomas crafted a mind-blowing campaign for me and two other players. He decided to start it off in the middle ages, amusingly enough not too far from the later official start date for Vampire: the Dark Ages. It was a campaign that lasted for almost a full year of once-a-week games and it was the first time that I really, truly felt emotionally invested in a game and a character. And slowly, surely, the game transformed the way we gamed. There was still an element of min-maxing and focus on combat, but the amazing world that Vampire was built around helped us towards telling stories, rather than just killing enemies. It became more important to do to what my character would do, rather than what would be most advantageous. That was the earliest lesson I learned from Vampire – to sometimes do the wrong thing, the less optimal thing, in the spirit of playing my character. Those early days had something that I miss now; the wonder of discovery. I still remember the first time our characters encountered the Sabbat – we, the players, knew nothing of the Sabbat clans and the ST managed to freak us out with just a few levels of Obtenebretion, because we had no idea what was going on. Then, I went to the Danish championships in Magic: the Gathering. It was a week-end thing, arranged by a gaming club and in addition to the Magic stuff, there was a bit of gaming… and a Vampire LARP. I’d tried LARP’ing once before and loved it, and I’d even tried setting up a one-shot of my own. So, now there was a chance to try a Vampire LARP? Sign me up! I ended up with what can only be described as a crappy character, a City Gangrel infiltrator in a Camarilla city, ordered to convert other vampires. But I had a blast. I immediately picked up all the Mind’s Eye Theater books I could (this was back when it was the full-sized books, not the pocket editions of today) and brought them home to my gaming club. It spread like wildfire – I set up a campaign, others took over, it died, a new one sprang up, that one died too, another followed and so on. Back then, LARPing in Denmark was mainly boffer LARP, but here was a chance to play a political game, to secure power and influence with your mind rather than your sword arm. The lesson I learned here was that I loved the political and social battles and that they could be even more fun than the physical ones. One evening, some new players joined the game. One of them was a guy named Martin whom I knew from earlier table-top gaming and he had brought his sister along. Back then, there were precious few female gamers and so Thomas immediately asked her to come to the gaming con we were setting up to take the role of the female Prince of the city in the LARP he was doing for the con. But more importantly, he also invited her to a small invitation-only game he was doing. The con went well, she was hooked and so agreed to play the invitation only game. At the end of that night, she and I were together and we have been ever since. 15 years, 10 of those married. I moved to Copenhagen to live with my new girlfriend and she introduced me to her gaming friends. None of them knew anything about Vampire and so, I had a chance to introduce them to the wonders of discovery. I ran a game where they started out as mortal investigators and slowly learned more and more about the world of Vampire. In the end, I had them all hooked, Vampire became our game of choice and these people remain my close friends to this day. When Transylvanian Chronicles came out, we jumped on it. My dear wife ran the game through 2½ years of real-time gaming and it made the Dark Ages setting my favorite. And when the revision, Dark Ages: Vampire, came out, I got the chance to do what I had dreamed of since I started gaming; write for my favorite game. 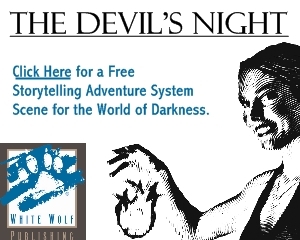 I worked on 3 books for the Dark Ages game (and a 4th that unfortunately didn’t get published) and 2 for the main line, before the new World of Darkness took over.